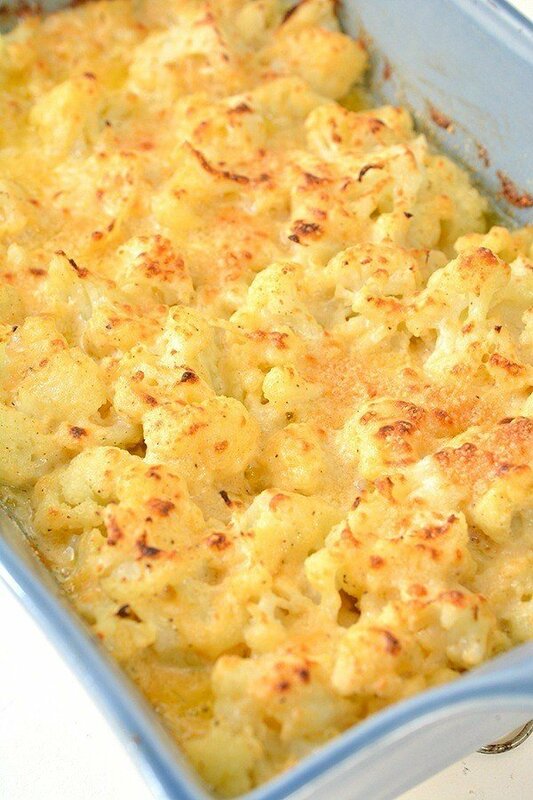 This keto cauliflower mac and cheese is the PERFECT side dish for dinner! 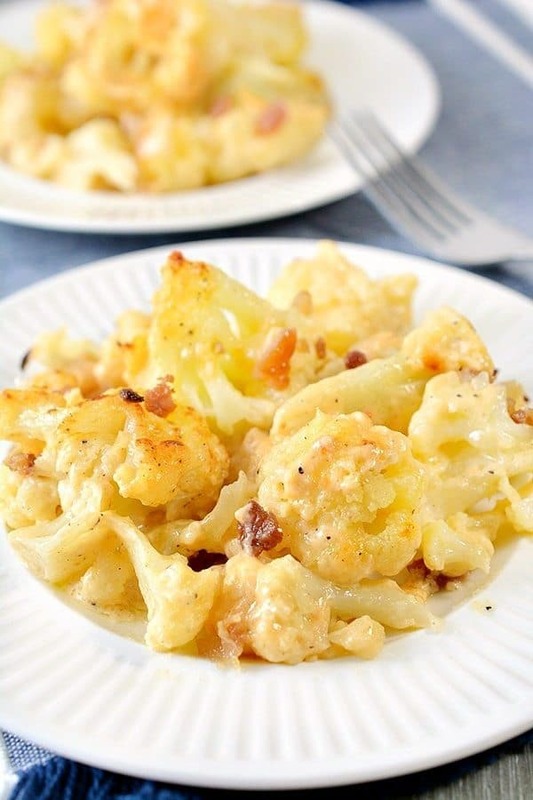 It’s creamy, savory and makes a perfect low carb cauliflower mac and cheese. 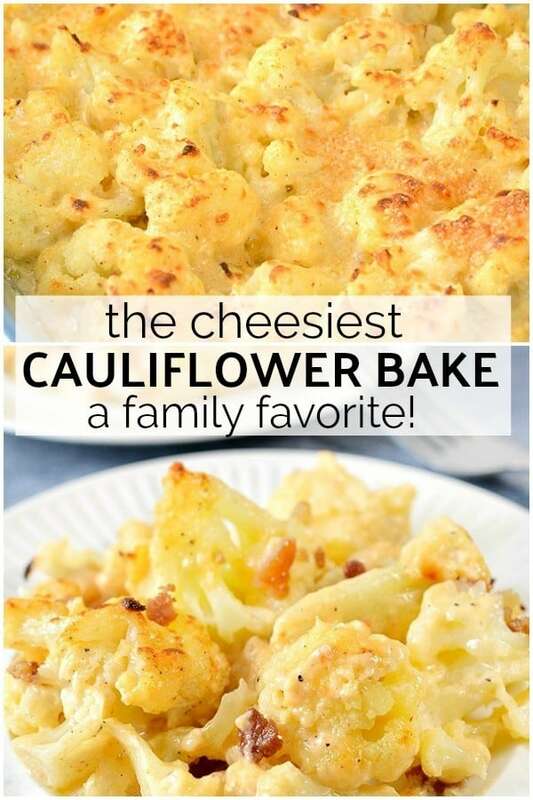 You will LOVE this delicious keto cauliflower recipe! Just scroll down below to make your very own healthy cauliflower mac and cheese! 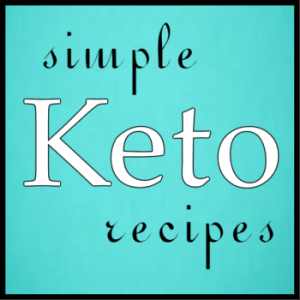 When I went keto, one of my most missed side dishes was macaroni and cheese. 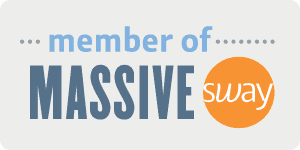 I mean… it’s the best guilty pleasure there is! (Okay, maybe not the best… but you get my point.) 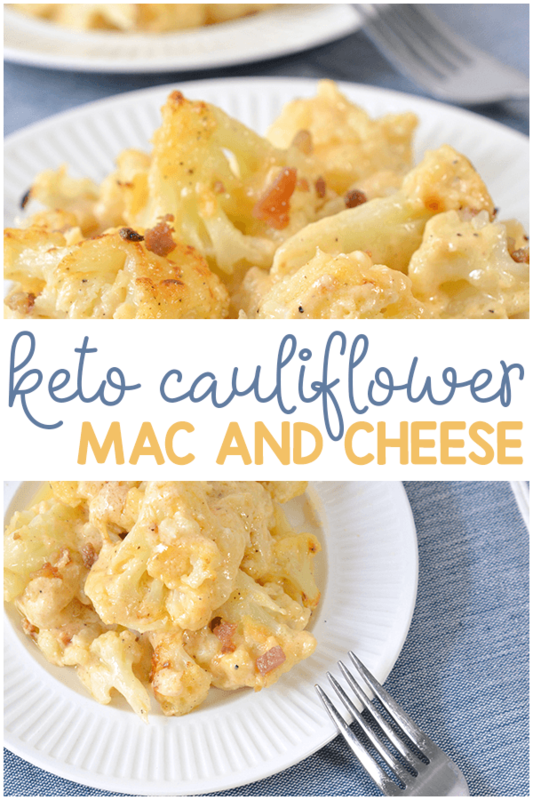 I HAD to find a recipe – so I made a keto cauliflower mac and cheese. 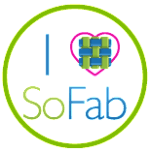 It’s not the same by any means – but it is SOOOOO good! 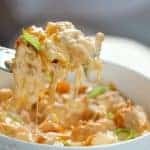 This low carb cauliflower mac and cheese is the PERFECT keto cauliflower recipe for weeknight dinners! 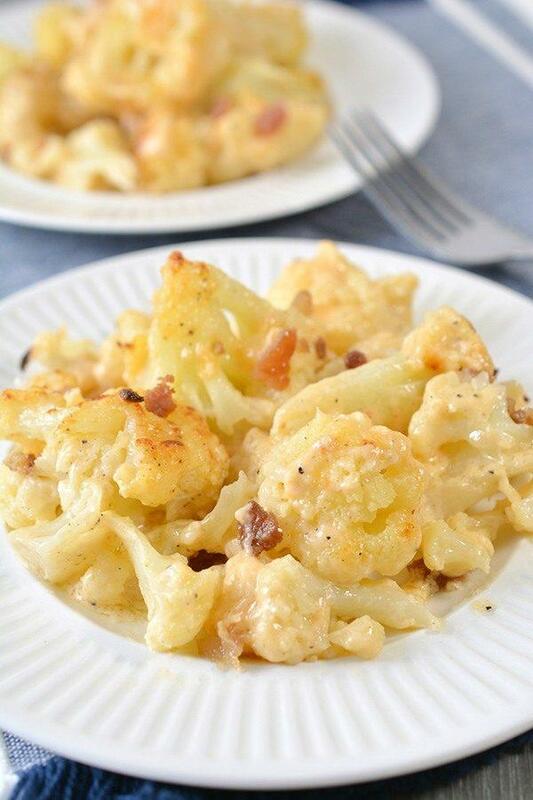 With this healthy cauliflower mac and cheese, dinners will be even more delicious! 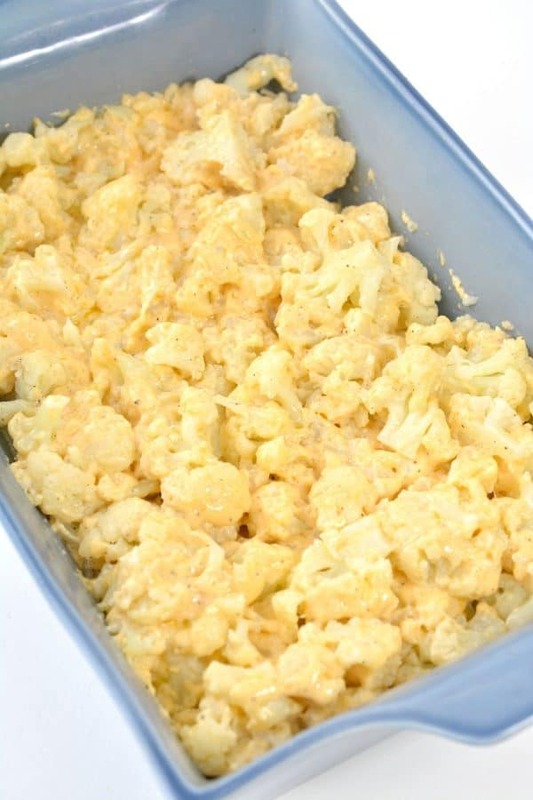 Scroll down below for the full recipe to make your own low carb cauliflower mac and cheese! Before you get started, gather all your ingredients to make it easier cooking in the kitchen. Get started by preheating the oven to 375 degrees and then prepare a baking dish with cooking spray. Cut a head of cauliflower into florets. Steam or boil for approximately 5 minutes, until they are crisp and tender. 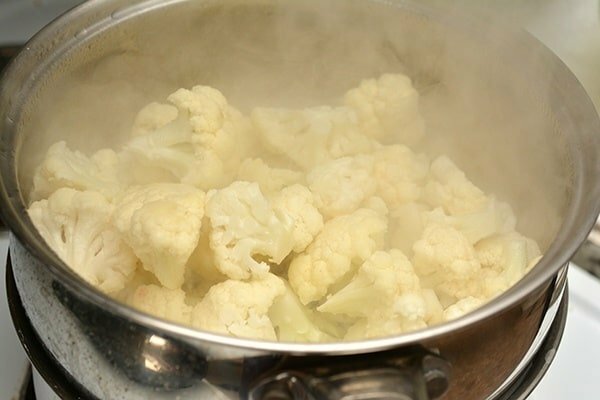 Strain the cauliflower and put it in your baking dish and then add salt and pepper to taste. 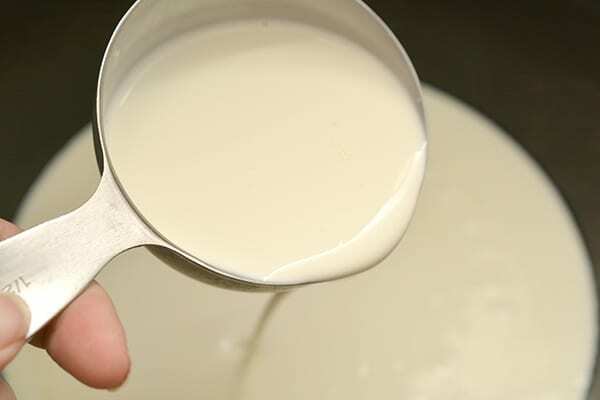 In a skillet over medium-high heat, add heavy whipping cream and bring it to a simmering boil. Whisk in garlic powder, onion powder, and salt and pepper to taste. 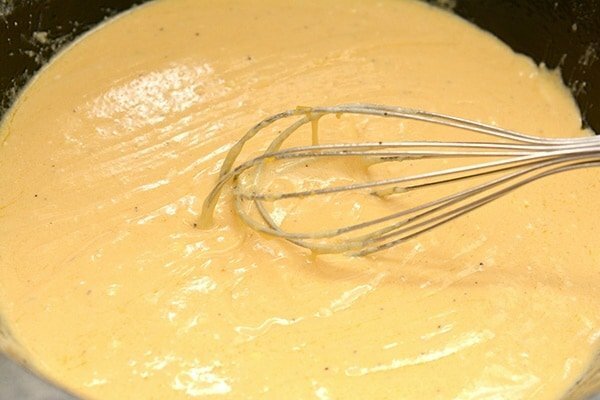 Add cream cheese and stir until smooth, and then add cheddar cheese. 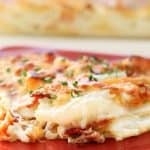 Sprinkle in mozzarella cheese and stir until cheese sauce thickens. Pour the cheese sauce over the top of the cauliflower in the baking dish and stir to coat the cauliflower in the cheese sauce. Sprinkle parmesan cheese over the top of the cauliflower. Bake for 15-20 minutes, or until the mixture is browned on top and bubbly. For a more browned appearance, cook in broiler for the lat few minutes. 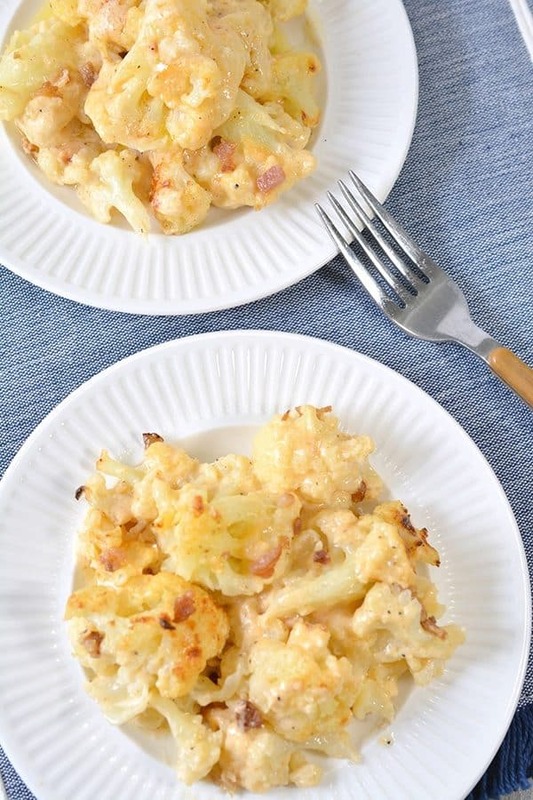 This keto cauliflower mac and cheese is the PERFECT side dish for dinner! 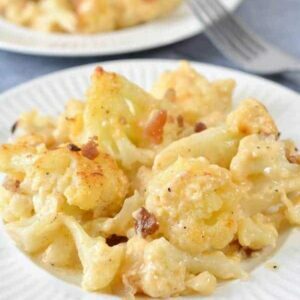 It's creamy, savory and makes a perfect low carb cauliflower mac and cheese. 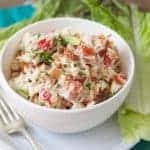 You will LOVE this delicious keto cauliflower recipe! 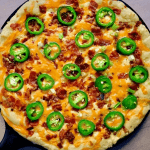 Preheat the oven to 375 degrees and then prepare a baking dish with cooking spray. Bake for 15-20 minutes, or until the mixture is browned on top and bubbly. For a more browned appearance, cook in broiler for the lat few minutes. Serve and enjoy!